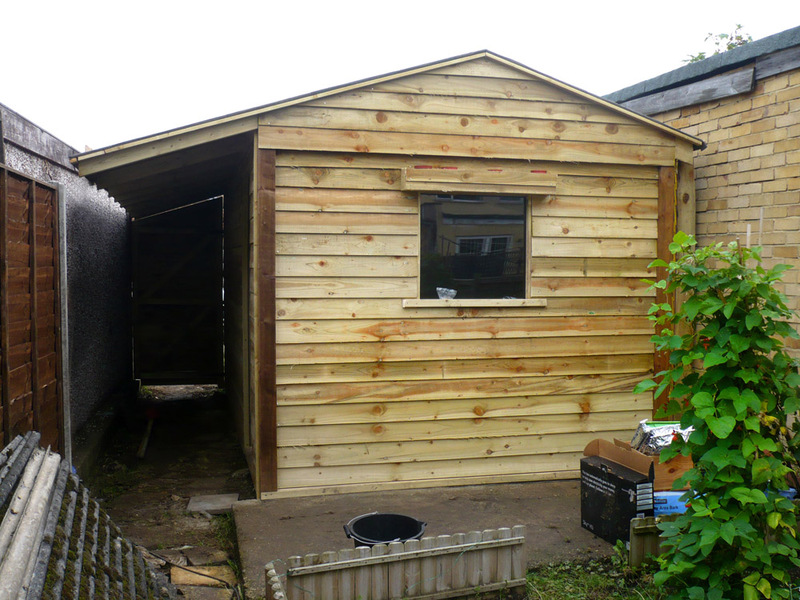 If you have an area for a Garden Shed but you cant find one to fit the space. 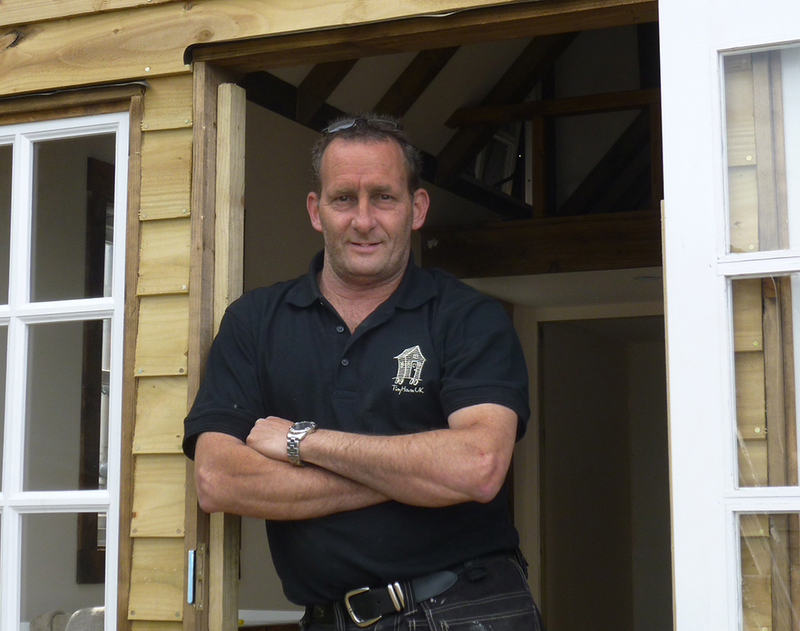 We can build you a strong custom built Garden Shed in the tightest of spaces. You may want to have no windows so people cant see what's in your shed, a large door to get a ride on lawnmower in easily, have light and power and lots of strong shelving. 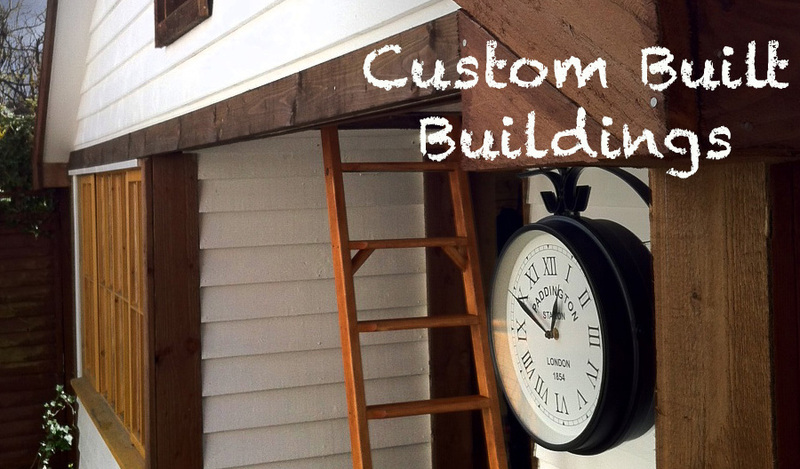 We can build custom built sheds long and thin, short and fat, big or small. You might want it kite shaped, that's fine, we can do that! 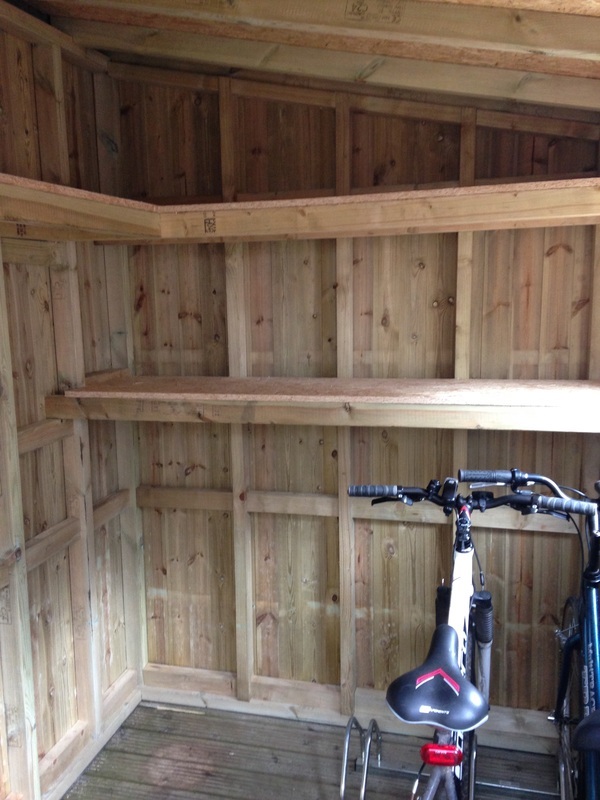 Large timber shed with side ally and bike store, Middlesex. 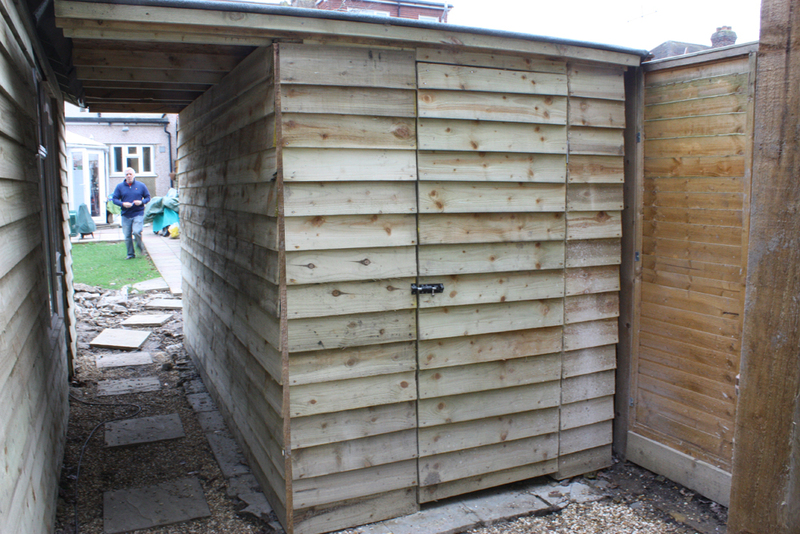 Strong garden shed / store. 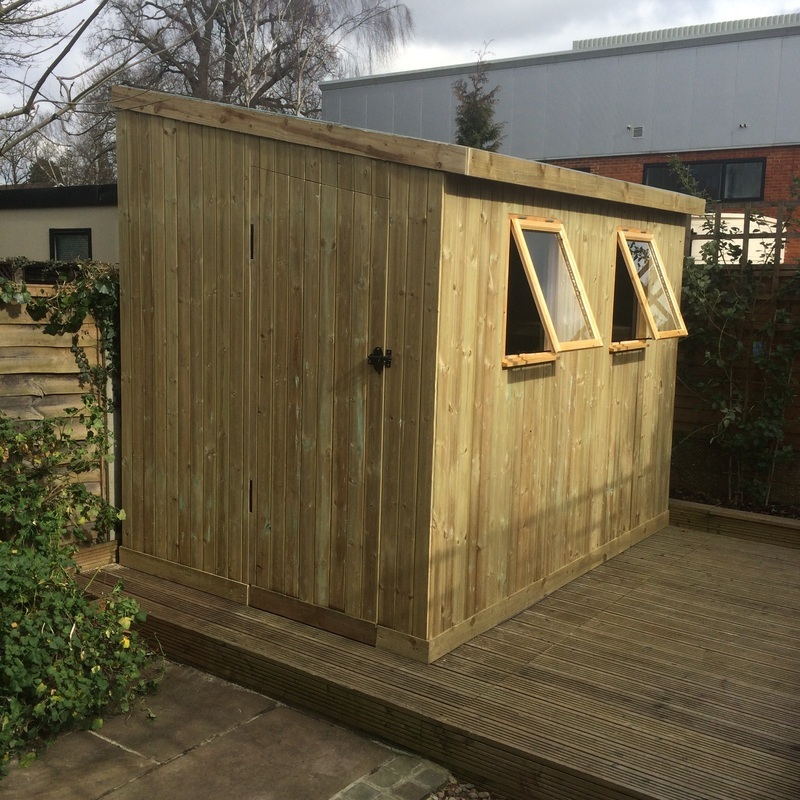 Specially designed to fit a gap on your garden, sheds, workshops, store, tool shed built in Surrey, Berkshire, North Hampshire and West London.